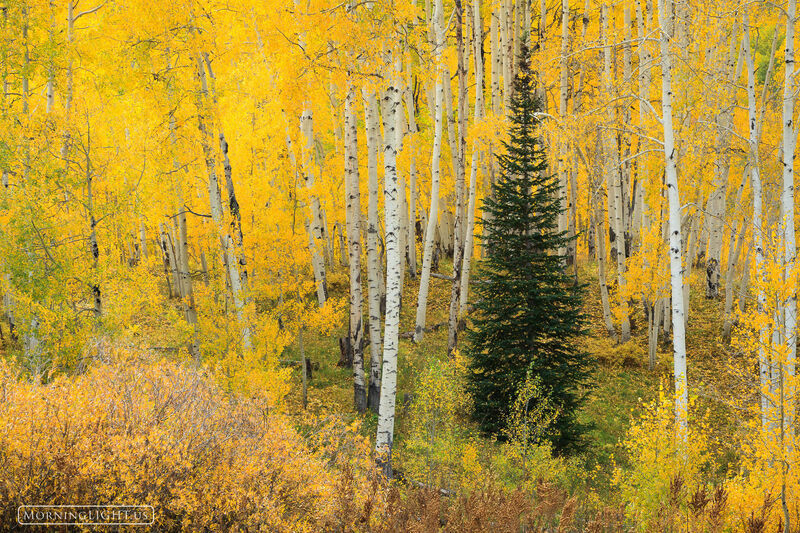 A lone spruce is surrounded by the pageantry of elegant aspen in their joyful autumn dress. I shot this during a gentle rain storm that provided just the perfect light and the dampness added to the vibrance of it all. Photo © copyright by Erik Stensland.